Young Ann Makosinski, 15, of Victoria Canada took top honors [a $25,000 scholarship] at a Google invention competition with an elegant, and environmentally relevant design for a hand-held, human-heat powered flashlight. Yes, you heard that right … human-heat powered. Harnessing this heat through a process known as thermoelectric heat conversion, Ann’s invention allows a three-light flashlight to stay on as long as it is held in one’s hand. No “on” or “off” switch, just the presence of the human hand to turn it on. Is that cool or what; and no spent batteries to deal with later. The perfect flashlight for campers, hikers, emergency personnel or just there at the ready at home. She accomplished her task just like many inventors before … the old fashioned way; and you can bet she had her share of mistakes, but as Thomas Edison would have said, “Fail your way to success.” And like most inventors, there are more improvements she wants to make to her product-like making it even brighter. Then there is the matter of her pending patent on this unique invention. The inspiration for the flashlight came from a friend in the Philippines who did not have the electricity to study at night, and Ann thought her flashlight might help solve the problem. Ann started with a real need and worked from there-necessity being the mother of invention as the old chestnut goes. 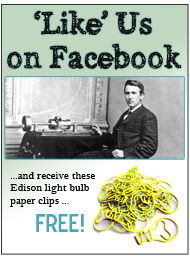 Thomas Edison would have been proud Ann! 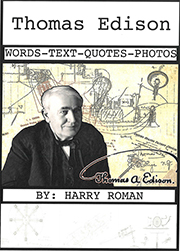 Speaking of Edison, at the end of March, the Edison Innovation Foundation will be hosting its 4th annual Thomas Edison Innovation Challenge where student teams from 6th thru 12th grade will compete with their alternate energy system inventions. Forty-three teams will display and discuss their work to panels of judges from the scientific and engineering communities. The annual challenge when first implemented only had fourteen teams, and now it continues to grow by leaps and bounds. Watch for more news about this event and visit this website to see some photos from previous contests. 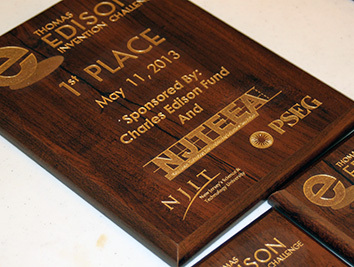 Lest you think the younger kids cannot compete, the first year of the Edison invention challenge a 6th grade team from a rural NJ school took top honors for an agricultural application involving wind energy – and a local farmer built and now uses their invention! Maybe we need all our schools to challenge kids with invention opportunities. This is what the currently popular STEM educational philosophy is supposed to be about. Bravo Ann! 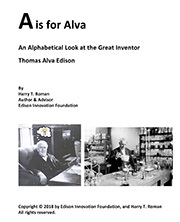 This entry was posted in Inventions Edison Would Love and tagged Ann Makosinski on March 12, 2014 by Edison Innovation Foundation.